We want to share this holiday gift giving success story with our Gusti community. This past holiday season we worked with a fantastic media company who had about 100 corporate gifts to send out. It’s one of our best business food gift stories yet! The company that we were working with had two tiers of gifts to give: one in the $40/each range and one in the $400/each range. The smaller gift was for about 80 people, a mix of employees and friends of the company. The more expensive business gift was for 20 VIP gift recipients (investors, partners etc). 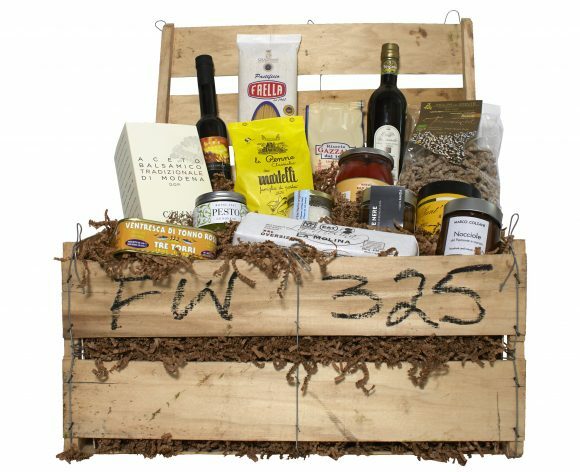 This is the $400 range ultimate Italian holiday food gift hamper, it’s packaged in a re-purposed wooden crate full of amazing Italian food. The food selection was chosen by the media company based on what they thought their recipients would like. All of the food gift boxes had personalized gift cards. Gustiamo took care of all of the shipping. That meant that all the media company had to do was provide us with a list of addresses and gift card text and Gustiamo did the rest. Italian food gift basket win! Besides this media company, we have done similar gifts for many other companies, large and small. We have done business gifts for law firms, financial managers, and universities. 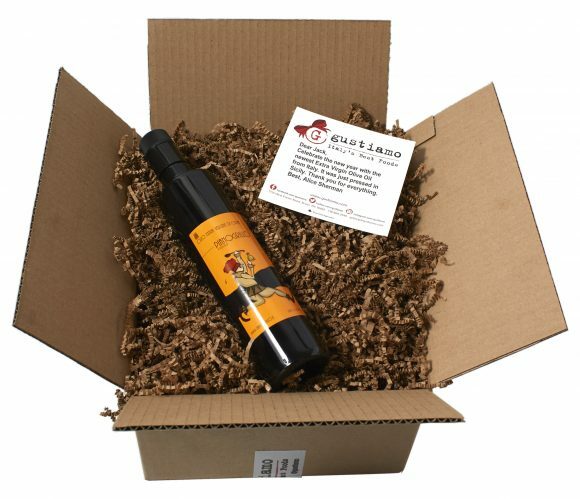 We even once sent a gift bottle of balsamic vinegar to every member of a professional soccer team! Gusti gifts are the best gifts!